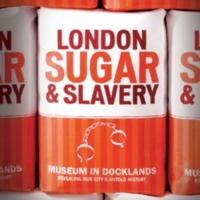 The Museum of London Docklands opened the London, Sugar and Slavery gallery in 2007, and it remains a permanent exhibition. The museum, housed in an old sugar warehouse on London’s West India Dock, retold the narrative of the transatlantic slave trade from the perspective of London, once the fourth largest slaving port in the world. Through personal accounts, film, music, interactive exhibits and over 140 objects, the exhibition looks at the various stages of the transatlantic slave trade, including life and trade on the West India Dock, and conditions for the enslaved on the Middle Passage and the Caribbean plantations. The final section of the gallery focuses on the legacies of the slave trade for British society today. 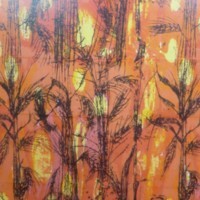 Community collaborations also helped shape the gallery. 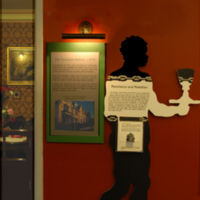 The museum also created a walking trail for the local area, highlighting key architectural features and buildings that had a role in the transatlantic slave trade. The Slave Map of London was developed in collaboration with three London museums: the Cuming Museum in Southwark, Bruce Castle Museum in Haringey and Fulham Palace Museum. Users navigated an online map to discover over 100 different locations throughout London which played a part in the transatlantic slave trade and the fight to end it. A schools programme that accompanied the opening of the exhibition included drama performances and workshops. 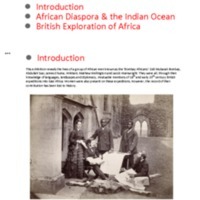 Courses that ran alongside the exhibition in 2007 included ‘Resistance and Achievement: the story of African and Caribbean people in Britain’, in partnership with Middlesex University. In 2018, the museum reflected on the 10 year anniversary of London, Sugar and Slavery with a workshop to explore the significance of the gallery, with contributions from artists, museum practitioners and emerging artists. 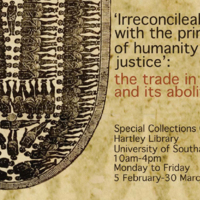 An exhibition held in the Special Collections Gallery at the Hartley Library, University of Southampton. 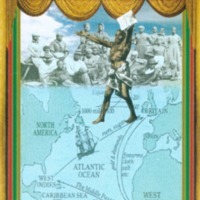 The exhibition took a broad view of the subject of transatlantic slavery across the 18th and 19th centuries, featuring accounts of the horrors of the transatlantic slave trade, the case for abolition, and contemporary tracts and pamphlets putting forward the arguments for total abolition. Alongside these were discussions of the place of slavery in the economy of the West Indies, and the detail of measures taken by governments, such as that of the first Duke of Wellington in 1828-30, and the work of the third Viscount Palmerston, as Foreign Secretary and Prime Minister. The exhibition also looked at the efforts of the Royal Navy to enforce legislation and treaties against slave trading. An exhibition at the Royal Naval Museum at Portsmouth Historic Dockyard explored the role of the Royal Navy squadron established after 1807 to patrol the West African coast and suppress the transatlantic slave trade. Using illustrations, contemporary accounts and original diaries of Royal Navy personnel, the exhibition examined key aspects of the campaign against Atlantic slave traders. It also looked at the Royal Navy's efforts against human trafficking and in the pursuance of humanitarian rights today. There was an accompanying programme of schools workshops and community events. Two specially produced films discussed the legacy of the squadron's work and recreated the abolition debates of the time. 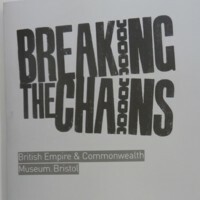 Breaking the Chains opened at the British Empire and Commonwealth Museum to coincide with the bicentenary, and told the story of the British transatlantic slave trade and its abolition. Developed in partnership with Bristol City Council's Museums, Galleries and Archives' Service, the exhibition used artefacts, film and testimony to challenge perceptions about Britain's involvement in the slave trade and its legacy today. It featured a multimedia gallery of digital memories and feelings on the contemporary legacies of the slave trade; interactive sound stations to see and hear personal testimonies and the power of black music; and the ‘Me deya’ gallery, led by Firstborn Creatives, a collection of work from artists and communities who wished to share their creative pieces about the legacies of the slave trade. Associated events included African music for children, community dance events and public debates. Bishop’s Stortford was the birthplace of the Victorian financier and imperialist Cecil Rhodes. To commemorate the bicentenary of the Abolition Act, Bishop's Stortford Museum and Rhodes Art Complex explored Britain’s imperial ambitions in the ‘Coveting Africa’ exhibition. 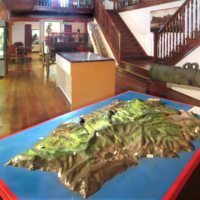 The museum holds much material from Southern Africa, Zimbabwe, Zambia and Botswana: areas where British colonialism and imperialism in Africa was focused in the nineteenth century. 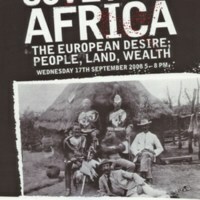 Through a year-long programme of arts events, this project discussed the relationship between Britain and Africa, and explored British attitudes to African peoples. Events included workshops by the London School of Capoeira. The Whitworth Art Gallery was one of eight heritage bodies in the ‘Revealing Histories: Remembering Slavery’ partnership in Greater Manchester. The project set out to explore the history, impact and legacy of slavery on Britain through collections and community links in the North West. 'Trade and Empire: Remembering Slavery' explored the themes of trade and empire, commerce and collecting, and the impact of the experience of slavery and its legacy. Four invited artists and academics (SuAndi, Kevin Dalton-Johnson, Dr Emma Poulter and Dr Alan Rice) worked with Whitworth curators and learning staff to create the exhibition. 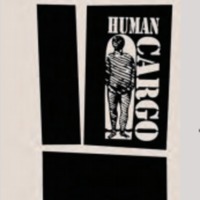 It comprised of selections from the Whitworth's collections, contemporary works by Black artists, and objects on loan from Manchester Museum, John Rylands University Library Manchester, Bolton Museums and Archives Service and private collections. Areas of focus included a history of the Benin Bronzes, representations of Black people in British art, photographs of West Africa belonging to Tom Singleton Gardner, and printed textiles designed by Althea McNish. The exhibition was accompanied by a series of community engagement events. 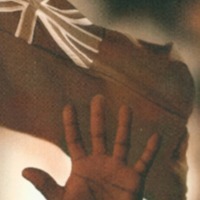 The Revealing Histories: Remembering Slavery project sought to uncover the North West's involvement in the slave trade (and the consequent social and economic effects of this involvement) and the region's contribution to the abolition of the transatlantic slave trade and colonial slavery. Eight museums and galleries across Greater Manchester collaborated to commemorate the lasting legacies of the transatlantic slave trade. The participating venues were: Bolton Museum and Archive Service; Gallery Oldham; Manchester Art Gallery; The Manchester Museum; Museum of Science and Industry; People's History Museum; Touchstones Rochdale; and Whitworth Art Gallery. A collaborative website and a programme of exhibitions, trails, performances, films and events took a new look at the collections of these museums and galleries and the buildings in which they are housed, revealing hidden histories of the region's involvement in the slave trade. 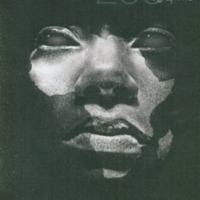 The project also examined slavery's contemporary legacy and relevance.